Lets explore what happens as the sun sets on our favourite Inner West village, Dulwich Hill. As the weather warms up, many local operators are stepping up their game to offer locals even more great fare, fun and family atmosphere after normal business hours. 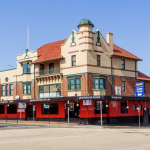 Easy to get to, safe and great value, Dulwich Hill after dark is the perfect option for those that don’t want to leave the couch but want to soak up a vibrant village. 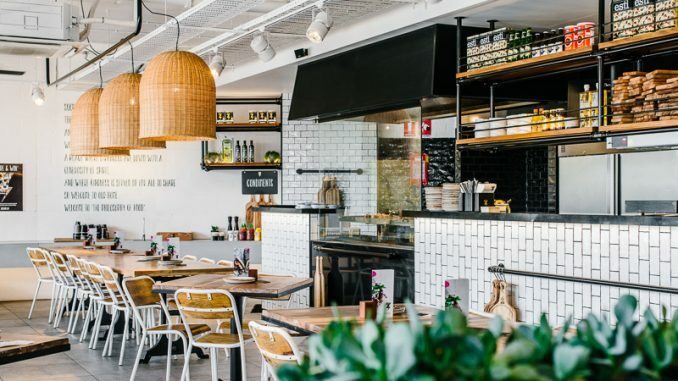 Whether it is twilight cheese and wine after work, dinner with friends and family, a long boozy catch up with girlfriends or late night dessert indulgence, Dulwich Hill’s local nighttime attractions will help you get out and stay out (late)! We’ve divided the village into zones to make it easier to navigate and plan your night-time sojourn. So if you don’t get to it all in one night it you can come and visit a different zone another night. for non-hipster hipsters. By bringing lots of local art to their interiors and focusing on a truly local vibe, this home away from home feeds you mentally and physically. 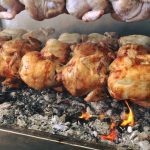 Starting 29th September, every Friday and Saturday night from 5-9pm, this popular café will transform into a licensed burger and hot dog joint, called Suburgia. Suburgia will offer a wholly different menu from the café, including gourmet hot dogs, tasty burgers, and plenty of sides, including Ben & Jerry’s Ice Cream for dessert! Vegos are catered for with Dogs loaded with @suzyspoonsvegetarianbutcher Sunday Herb vegan sausages and Mexican blend cheese and sauces. Also try the Mac and Cheese Croquettes with Truffle Mayo and staple Shoestring Fries (unmissable). Their soft opening earlier this month was huge. The most popular items ordered were The European, the Firedog, and the Primo burger. Don’t miss opening night coming up on the 29th September! Random nights til late – walk past and drop in if the light is on! At Miss Hu’s Vietnamese and Asian Cuisine try some of the best local Asian cuisine. Don’t let on-line mixed reviews deter you (a result of possible on-line ordering mismanagement), the food here is good. Specialising in Vietnamese cuisine, but extending to other Asian dishes such as Wagyu beef and Peking duck, Singapore style vegetarian laksa and Thai papaya salad, the chef’s broad approach to the menu does not disappoint. Chrissie Flanagan making sausages on site. This on-trend sausage bistro, bar and cellar door is cool, classy and tasty. 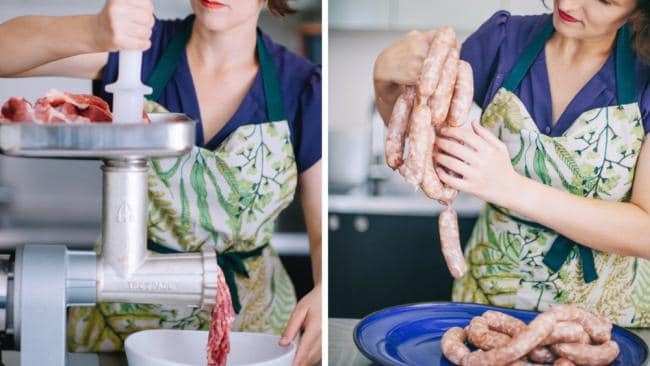 With real sausages made from real meat (certified free range) twisted in small batches made on site, strong and colourful owner, Chrissy Flanagan, is keeping it real and creating a super sausage haven right here in Dully. It has local beers, an innovative Aussie wine selection, excellent service, sausage knitting kits and for the more extreme, sausage dog knitting kits – what’s not to love. And just when you thought all your dreams had come true, there are new dreams and new beer with a new offering, Sausage Queen Brewing. Like their sausages, beers will be totally independent, embrace lesser known styles and native ingredients and provide the good people of Dulwich Hill something to drink every day. On 26th September they’ll be launching their first three beers on tap. Tasting paddles will be ten bucks for one night only. While you’re imagining sun-soaked Greek Islands and divine lamb pita wraps, Zeus Street Greek gets you halfway there. Have a pita each, or share a Spartan Box, and bask in the glory of endless loukoumades. Tuesday: Pita & Brew This is an easy one, and as the name suggests, you’ll be able to get your hands on a pita and a brew, of your choice of course, for $15. Winner. Wednesday: Feast for Two + Drinks for Two Wednesday is date night. Bring your significant other, friend, partner and enjoy a Feast for Two plus a glass of wine or beer each for $50. Thursday: Spartan Box + Beer or Wine , Spartan Boxes plus either a beer or glass of wine for $20. Indulge in a bit of night-time decadence. 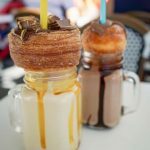 Balls of doughy goodness with a gooey nutella centre, waffles decked out in kinder surprise, milkshakes that satisfy all your sweet-tooth cravings… is there any need to go on? 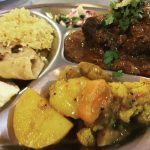 This newish restaurant is bustling and authentic. Great service and fresh produce create fast tasty meals that good Thai restaurants are renowned for. Recommended dishes include Chicken Satay, Peppercorn Eggplant and Roasted Duck with Vegetables in Curry Sauce. Prices are great, ambience and décor are spot on and you’ll definitely leave with a good feeling. 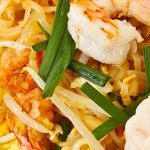 The chefs here use the best ingredients to prepare tasty dishes such as the Pad Cashew Nut, Basil Fried Rice and Pad Thai Woon Sen. House specialities include BBQ Chicken and BBQ Lamb, and our Chilli Prawn and Soft Shell Crab are perfect if you love seafood. 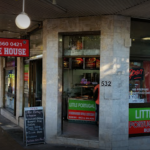 This Dulwich Hill staple never fails to satisfy hungry Inner Westies. 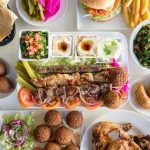 They serve large portions of devine tasting Mediterranean charcoal chicken, burgers and wraps in a laid-back place with outdoor tables. Hundreds of regular weekly cab drivers can’t be wrong. Butchers Brew is a brand new small bar and live performance venue, set to open in Dulwich Hill in October 2018. 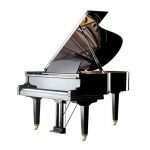 They’ll be offering high quality live performance seven nights a week, showcasing Sydney’s best professional and emerging musicians, as well as regular stand-up comedy evenings.Butcher’s brew will also be providing an exhibition space for visual artists to display and sell their original artworks. All proceeds from the door and the sale of artworks will go directly to the artists.Butchers Brew will provide a wide selection of fine wines for all budgets, bottled and local craft beers, spirits and cocktails, as well as fresh juices and a delicious, healthy grazing menu. 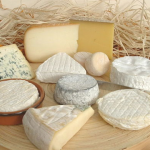 rillettes and terrine, there’s also a variety of other things to choose from. Make sure you also enjoy the wine bar, which is in operation over the evenings. You can’t go past the Gladdy for a great night. Young Henrys and Batch Brewing Beer on tap, espressotinis to die for, schnitzel nights, trivia nights, badge draw, open mic nights plus live music on Saturdays from 7pm. Make the Gladstone Hotel your first and last stop. 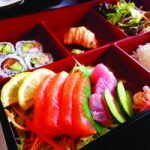 box combos are delicious and everything is made fresh in store. 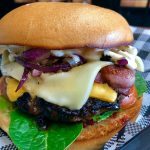 The Hub House Diner serves a mouthwatering fusion of Australian cafe favourites and American diner cuisine. Start your meal with Southern Fried Chicken and top it off with a deconstructed snickers dessert. More than just chicken, Jimmy serves up delicious pasta bakes, potatoes, fresh salads and quality burgers and wraps, this is a dinnertime must. 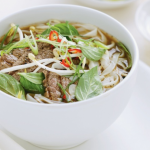 30 years in the making of authentic Pho and other traditional dishes. 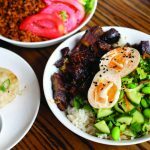 Second generation Vietnamese cooking that will make your mouth water. Not fancy just excellent. Sleek setup with polished floors and pared-down décor, for traditional soups, curry and stir-fries. Specialties include Pad Prew Warn, Goong Sam Roas, Pandan Leaves Chicken, Choo Chee, Sun Thai Chicken and more.